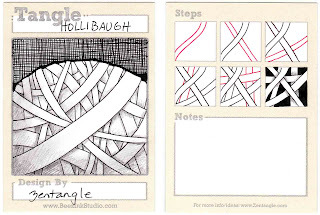 Hollibaugh can look like a pile of elastic bands - or a ball of elastics, a pile of ribbons, or even a highway! Add patterns to the wider bands to make them look like ribbons. Add a dashed line through the center of each to make your pattern into a highway. 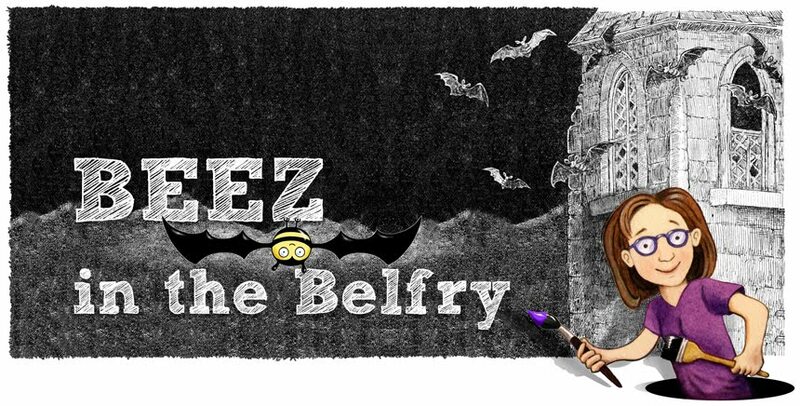 If you color the background - behind each band- with black pen, it will look like the ribbons or bands are strung across a deep pit. If you do the background in a lighter color, light pencil-gray, it will look like the bands are just floating over a table or closer surface. I've just recently started doing these, and they are so fun! 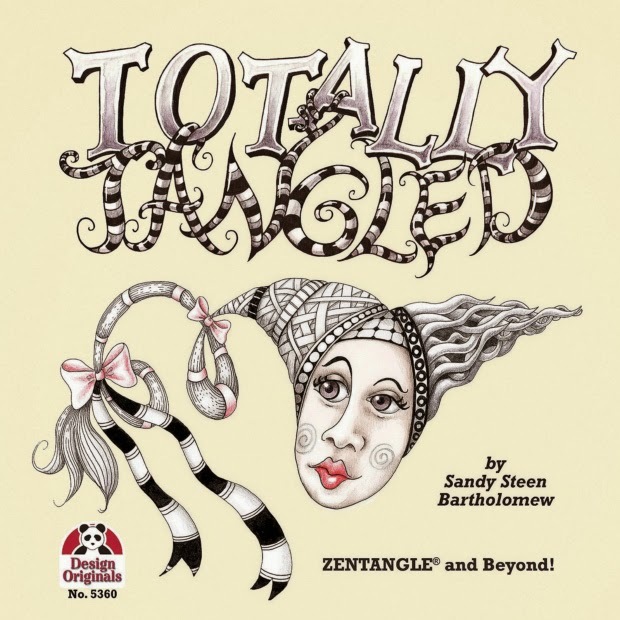 Thanks so much for posting the tangle of the week - it's VERY helpful!! We are doing these for art at school. They are awesome! I have been "in love" with Zentangle in all shapes and sizes for 2 years plus. They've made me a happier person and taught me a wonderful to relax! Thank you all! My Angel is the Centerfold!